la petite chouette: A wee break. Gee whizz 3 weeks passes in a flash! And that is how long it has been since my last post but I do have a wonderful excuse for not being around and that is we have been a way. 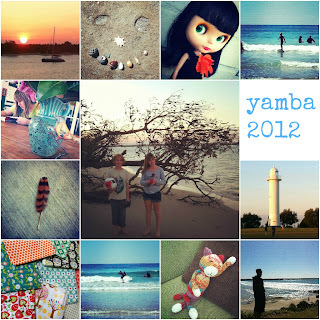 My little family & I went on a trip to a little town called Yamba in Northern NSW . Oh we had such a lovely time! 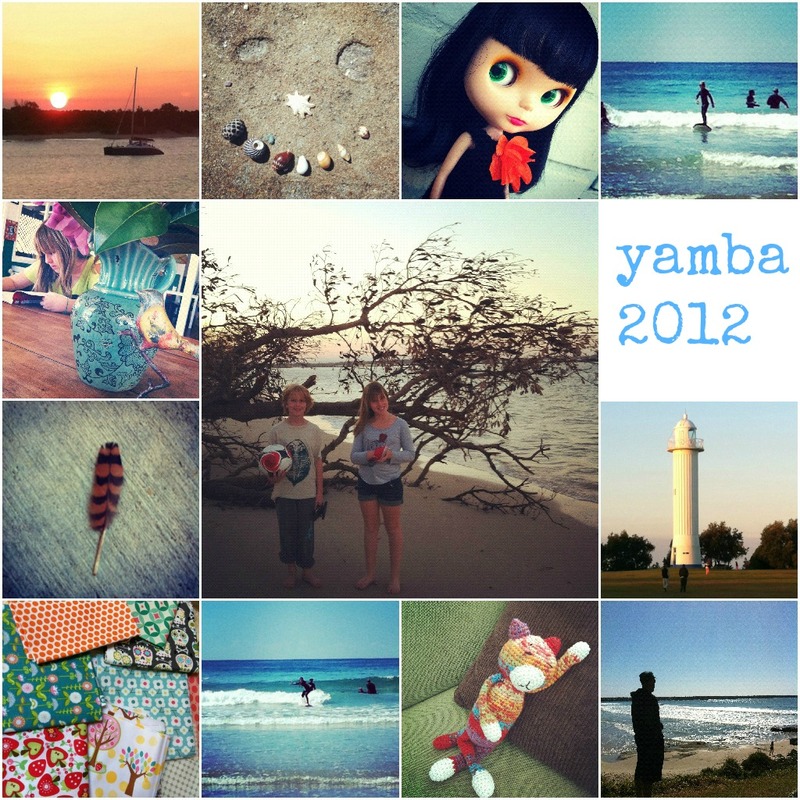 The weather was perfect, the town pretty, the food great, the surf big enough for the kids to have a go, the nature around interesting, a crafty shop to venture into every few days and have a look around/buy some treasures and best of all fabulous coffee shops. If you don't read that and get the impression we had a great holiday I am not being expressive enough with my adjectives. I would recommend this little haven for anybody looking for a calm and relaxing place to chill out for a while. Our time their reminded me of times past when my family would go off to small seaside places and have holidays to remember. My husband and I talk about childhood memories often, my family was off doing things all the time and that is what I remember most from my younger years. His family didn't travel alot so he only has a couple of things in his mind. With holidays like these I hope we are creating the same lasting memories for the kids to keep. I count myself blessed all the time as we live in a wonderful country by the sea but we can still find other places beautiful places to visit. I would love to hear about places others have visited and loved as we are always looking for new destinations.